What a wild ride this life is to have landed us in these roles at this particular company. As emerging artists, Azimuth Theatre had a profound impact on our individual artistic vision and development. We are direct beneficiaries of its investment in emerging, independent artists and companies, and we are honoured to pick up the reigns and continue the tradition of support and encouragement. We are proud of where Azimuth has come from and we are excited about where it is going. Azimuth has seemed to us to be a spirit; fierce and fearless. It is the moment before you jump, dive, release. It is sweaty hands, an elevated pulse, dilated pupils and too much saliva. It is a tune in your head that suddenly plays on the radio. It is agile, courageous, and seeks freedom, not just for itself, but for all. This world we live in, the fear and the hope – the work we do together is vital, and we invite you to join us as we endeavor to stay on the wild ride of progress, making a commitment to support a multitude of incremental shifts forward. Listening, sharing, inspiring, questioning, supporting, engaging; discovering each step as the path reveals itself. We are optimistic and excited for the future and we are ready to do the work to get there. We hope you will journey with us. Kristi Hansen is an Edmonton-based artist who has been working in the realms of acting, creation, directing, and producing for the past 16 years. Kristi also co-produces Edmonton’s indie female-based company, The Maggie Tree, which she founded with Vanessa Sabourin in 2007. She is a graduate of Edmonton’s BFA Acting Program at the University of Alberta and of the Theatre Arts Program at Grant MacEwan College. Her first piece with Azimuth Theatre was Absolute Blue in 2005. Her one-woman show, Woody, is an exploration of disability and her own journey as an amputee living in a first-world country. Some of Kristi’s credits as an actor include Irma Voth (Theatre Network); Star Killing Machine (Broken Toys Theatre); The Hollow (Vertigo Theatre); Alice Through the Looking Glass (The Citadel Theatre); Christina/Philippe (Northern Light Theatre); ONE (Ghost River Theatre); 10 out of 12 and Passion Play (Wild Side Productions); The Jazz Mother, Pith, The Scent of Compulsion, and The Ambassador’s Wives (Teatro la Quindicina); The Sound of Music (National Arts Centre); A Midsummer Night’s Dream, King Lear, and Romeo and Juliet and Love’s Labour’s Lost (Freewill Players); Little Elephants (Shadow Theatre); Apocalypse Prairie (Azimuth Theatre); Grace et Gloria (l’Unithéâtre); Dying City (Trunk Theatre); The Supine Cobbler, Monstrosities, Age of Arousal, Hroses: An Affront to Reason, Folie à Deux, and Hunger Striking (The Maggie Tree). Vanessa is a graduate of the Grant MacEwan Theatre Arts program (1999), studied at the Liverpool Institute for Performing Arts (2001-2003) and completed an arts administration internship at the Centre for Performance Research (2007) in Aberystwyth, Wales. She worked with the iHuman Youth Society as a project co-facilitator for two original productions and was Program Coordinator for Theatre Alberta for two years where she programmed Dramaworks and Emerge. 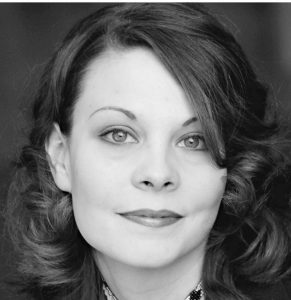 She was Artistic Director at Urban Curvz Theatre in Calgary from 2011-14. Vanessa is a co-founder and co-producer for the award-winning, independent, female-based theatre company in Edmonton, The Maggie Tree. Her directing credits include 9 Parts of Desire, The Supine Cobbler, HROSES: An Affront to Reason, Shatter, A Life in the Day, and Hunger Striking (The Maggie Tree); Hunger Striking (Urban Curvz) for which she was nominated for a Critics Choice award and a Betty Mitchell award for Outstanding Direction. As an actor, Vanessa has worked across the board from large professional theatres to the smallest of independent productions. Selected acting credits include The Crucible (Theatre Calgary) – Betty Mitchell nomination for Outstanding Performance by an Actress; Nevermore (Catalyst Theatre); The Last Voyage of Donald Crowhurst (GhostRiver Theatre and Alberta Theatre Projects) – Betty Mitchell nomination for Outstanding Performance by an Actress in a Supporting Role; The Penelopiad (Alberta Theatre Projects); Once Upon an Atom Bomb (Green Fools Theatre); Monstrosities, Folie à Deux – Sterling nomination for Outstanding performance by an Actress (The Maggie Tree), Beckett’s Shorts (Surreal Soreal); The Drowning Girls (Alberta Theatre Projects and Bent out of Shape Productions); Madagascar (Blarney Productions); Sailor’s Song (Trunk Theatre); Absolute Blue (Four-in-currency); Swollen Tongues (BitterSweet Theatre); Spitfire Grill (Leave it to Jane); Shakers (RiBBit Theatre); Real Time (Matt Alden Productions); Out of Pocket (pocketchange productions); Prophetess, Othello (Sound & Fury Theatre); Dangerous Corner, When Girls Collide (Vertigo Theatre); Grease, The Sound of Music, Measure for Measure and Christmas Carol (Citadel Theatre); Macbeth, Richard, A Midsummer Nights Dream, and Henry V (FreeWill Players).